A detached country house, Close to the beach. 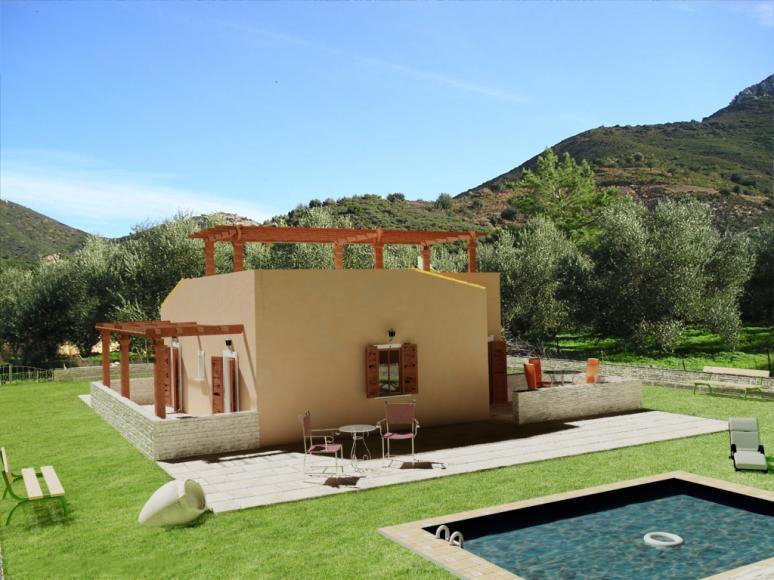 Κωδικός: 130 A detached country house, Close to the beach. Ready in 4 months in excellent prefabricated contruction or in 10 months in concrete and bricks construction. An exclusive project for a detached luxury house(80 sq.m) of 2 bedrooms in a quiet, rural location which is located only 4 kms from the beach and the seaside villages Bali and Panormo. 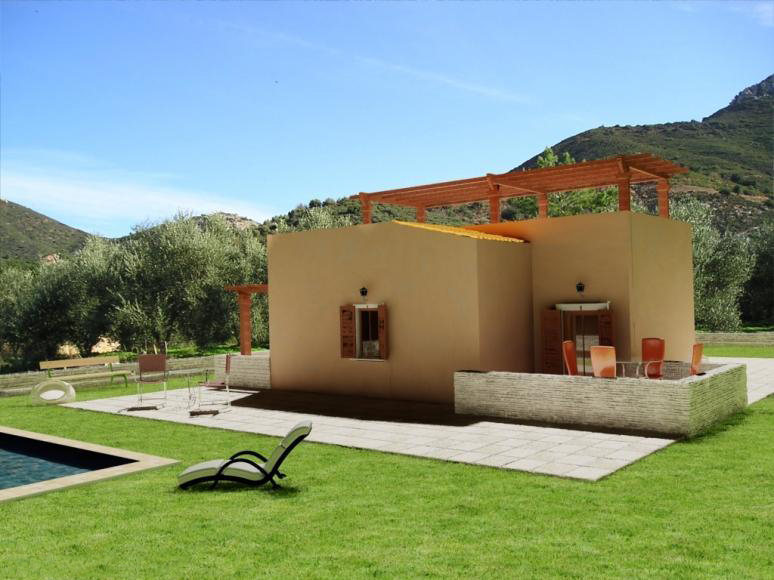 The house is placed in a natural setting with olive trees and excellent views and consists of an open plan large kitchen-living room, 1 bathroom, storage area, big verandas and balconies and 2 bedrooms. Each bedroom has fitted wardrobe, the kitchen area has electrical wiring and fitted cupboards. Also the house includes a stairway with access to the roof for use as veranda. 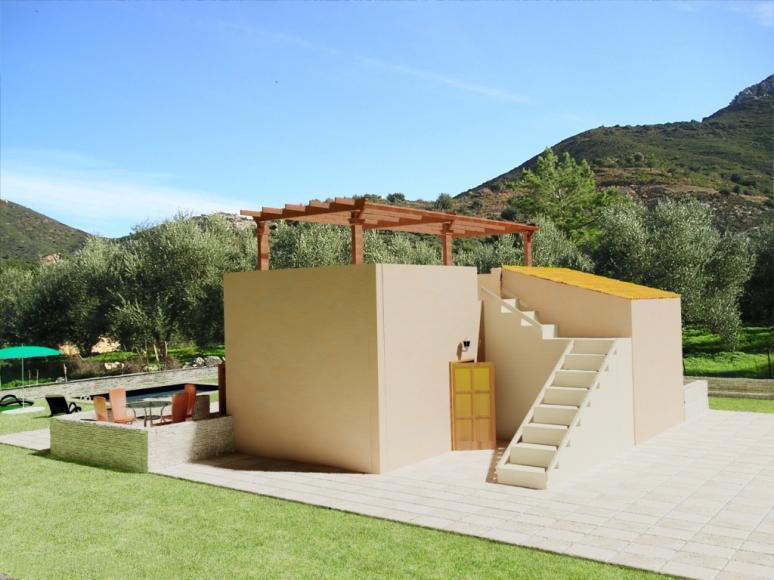 This project will be constructed from 1st class material with double brick external walls, insulation in-between of Polyurethane, double-glazed aluminium doors, concrete and brick construction according to anti seismic regulations. The house has been designed with a nice mix of concrete and stone and is delivered with heating, solar panel - boiler and fireplace. 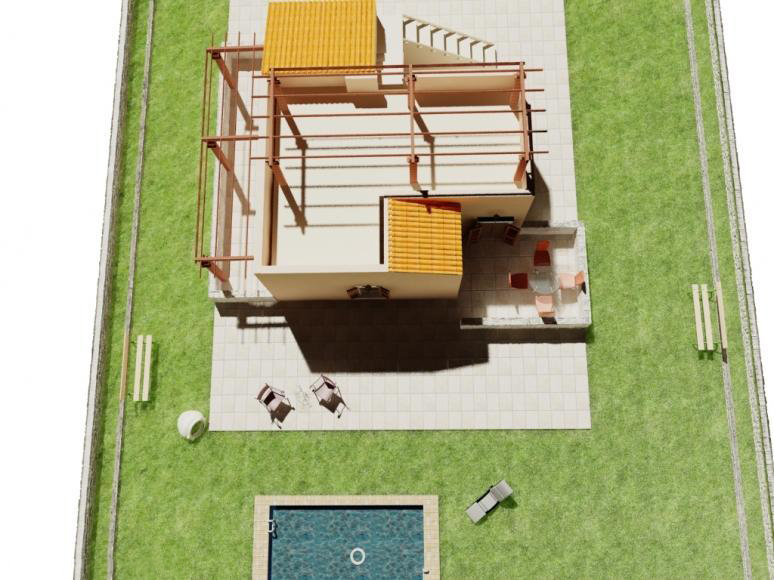 This project is for a plot of 550 sq.m. This plot can be built until 200 sq.m in total, So 120 sq.m extra space can be constructed there later. Contact us for plans and for more information. Exantis is a small traditional village in the centre of Crete which offers beautiful view to a nice valley and the surrounding mountains. The village is located close enough to the beach(3kms away) and the big cities(from Heraklion:45 kms, from Rethymnon:25 kms), while the airport is 50 min away. The Sea-side villages Bali and Panormo are situated 3 kms away and there are many shops, restaurants, bank, post office, health center, e.t.c .